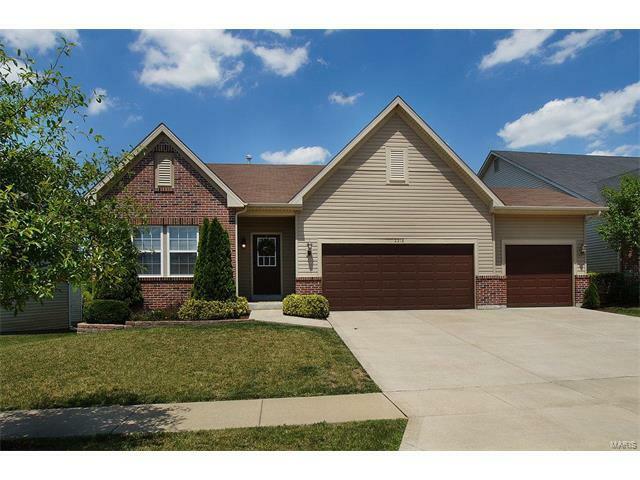 Stylish ranch located in sought-after Ohmes Farm subdivision will be first on your list! Immaculate 4 bed, 3 bath offers impressive upgrades: vaulted ceilings, oversized 3-car garage, baseboards with quarter round, hardwood flooring, ORB fixtures/knobs throughout, gas fireplace, 6-panel doors, surround sound, main floor laundry & a gourmet Chef's Kitchen w/ stainless steel appliances including a Viking D3 oven & Bosch dishwasher, granite countertops, modern tile/marble backsplash, under/over cabinet lighting & 42" cabinets. Mastersuite features lux bath w/ double sinks & quartz tops, ceramic tile, frameless glass tile walk-in shower & spacious walk-in closet w/ custom built-ins. Finished walk-out LL amazes w/ 4th bedroom, full bath, rec room, bar area & ample storage! Lastly, enjoy the wildlife on the cedar deck w/ stairs surrounded by a beautiful yard which backs to common ground, perfect for entertaining family & friends! Close to shopping, dining, schools, parks & walking trails! Mid Rivers to left on Ohmes Road, Right on Sunnyhill Blvd to Right on Crimson Hills Dr to Right on Bay Tree Drive.